1. Put your children’s welfare ahead of your conflict with your former spouse. 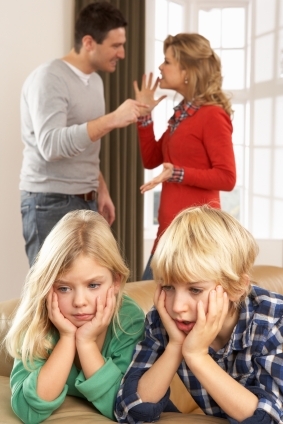 Avoid involving your children in any conflict with your former spouse. 2. Remember that children need two parents. Help your children maintain a posi­tive relationship with their other parent; give them permission to love the other parent. 3. Show respect for the other parent as a parent. Do not make derogatory remarks about the other parent to or in front of the children. 4. Honor your visitation schedule. Always notify the other parent if you will be late or cannot exercise your time with the children. Children may see missed visits, especially without notification, as rejection. 5. If you are the noncustodial parent, do not fill every minute of your custodial time with the children with special activities. They need “at home” time with you. 6. Do not use the children as “message carriers” or spies to glean information about the other parent or to send information to the other parent. Don’t cross-examine the children when they return from the other parent’s home. 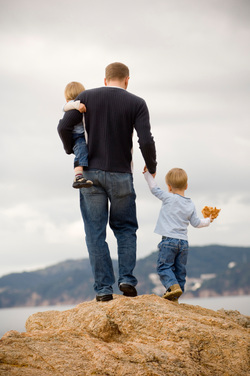 Don’t use the chil­dren to collect child support. 7. Strive for agreement on major decisions about your child’s welfare and disci­pline, so one parent is not undermining the other. 8. Use common sense in exercising your custodial and visitation rights. Follow this old adage: Do not make a mountain out of a molehill. Follow the golden rule: Do unto them as you would have them do unto you. 9. Do not discuss the case with your children. This is not the children’s divorce. They should not be reading the pleadings or letters from opposing counsel. 10. Think first of your child’s or children’s present and future emotional and mental well-being before acting. 11. Maintain your composure and emotional balance as much as possible, and in talking to yourself (verbally and in your thoughts) remember it’s not the end of the world. Laugh when you can and try to keep a sense of humor. Remember, what your child or children see in your attitude is, to some measure, reflected in theirs. 12. Allow yourself and your children time for readjustment. Convalescence from an emotional operation such as divorce is essential. 13. Continuing anger or bitterness toward your former partner can injure your chil­dren far more than the dissolution itself. The feelings you show are more impor­tant than the words you use. 14. Refrain from voicing criticism of the other parent. This is difficult but absolutely necessary. For a child’s healthy development, he or she must have respect for both parents. 15. Do not force or encourage your child to take sides. To do so encourages frustra­tion, guilt, and resentment. 16. Remember to put your child’s or children’s welfare first — try to meet their emo­tional needs and make sure that, as much as possible, they have an opportunity to develop normally under the circumstances. 17. Remember that contact with the other parent, normally and under the proper cir­cumstances, is necessary and helpful to your children’s development and future welfare. 18. Time spent with your children should be pleasant not only for the children, but for both parents. You should help your children maintain a positive relationship with each parent. 19. Keep to your schedule and inform the other parent when you cannot keep an appointment. The children may view the failure to keep a commitment to be with them as rejection. 20. You may need to adjust the scheduled time with your children occasionally according to their age, health, and interests. 1. If love is gone, substitute politeness. 2. Don’t enter into private negotiations without your lawyer’s knowledge and advice. 3. Don’t make agreements or sign anything without talking to your lawyer first. 5. Don’t rub in your legal victories. Losers try to even up. 6.Consider obtaining a post office box until the conclusion of the case so that your mail will not be intercepted by your ex/spouse.